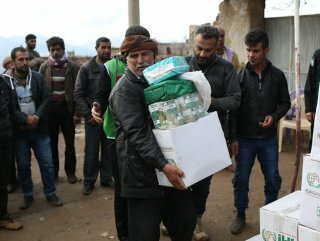 IHH distributes humanitarian aid in Afrin, cleared of terrorists following Turkey’s counter-terror operation. 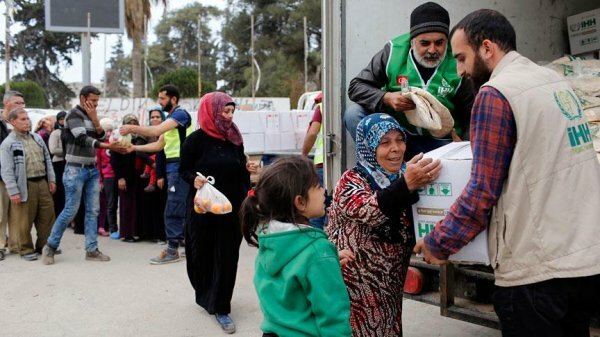 A Turkish charity group provided humanitarian aid to 2,000 families in Afrin, northwestern Syria, the agency said on Tuesday. 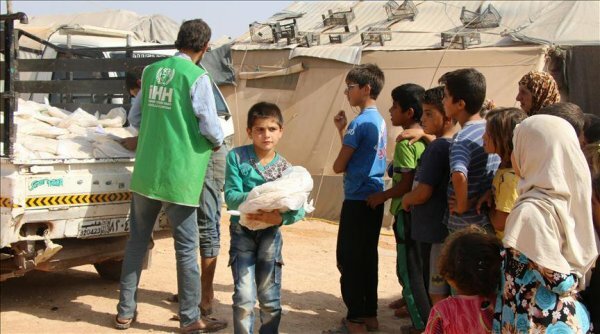 Istanbul-based Humanitarian Relief Foundation (İHH) distributed food, coal, carpet, bed, blanket and baby staff to the needy families across Afrin, İHH's Syria Coordinator Zeki Tahiroğlu said in a written statement. İHH’s humanitarian aid works will continue in Afrin, which was cleared of terrorists following Turkey’s Operation Olive Branch, Tahiroğlu said. "The materials loaded in the 12-vehicle convoy were distributed by our team to support the disabled and needy civilians living in the district center of Afrin and its six towns," he added. Turkey on Jan. 20 launched Operation Olive Branch to remove YPG/PKK and Daesh terrorists from Afrin. On March 18, Turkish troops and Free Syrian Army members liberated Afrin, on the 58th day of the operation. Syria has been locked in a vicious civil war since early 2011, when the Assad regime cracked down on pro-democracy protests, leading to open warfare in several parts of the country with heavily-armed opposition groups. While UN officials say hundreds of thousands of people have been killed in the conflict, regime officials say the number is closer to 10,000.